With a combined 60 years experience, Heritage Restoration & Renovations offers comprehensive renovation and construction services. 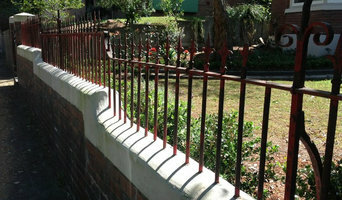 Quality workmanship with attention to detail – as it was done in years gone by. From a simple iron gate installation, to lacework restoration or a complete renovation, our team’s vast experience will ensure the right advice at the right price. Call today to arrange an onsite inspection. 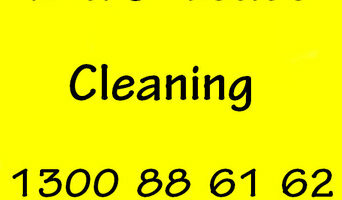 We provide free, no obligation quotes without hidden costs. Are you looking for excavation services in Western Sydney? Ads Mini Excavators's team is experienced, reliable, and efficient. Solar Analytics is an innovative technology company that develops software to derive maximum value from customers’ solar energy systems. The Smart Monitor product intelligently monitors real-time solar energy system performance - energy consumption, solar production, faults, downtime, energy bought and sold. 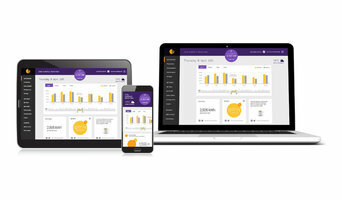 After installing a small device in their meter box, customers receive any fault alerts and advice immediately by email, can access a dashboard online from any computer, tablet or smartphone to check energy usage and system performance, and receive monthly reports that provide valuable insight. 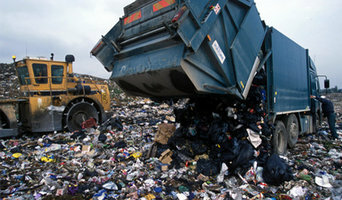 Waste Choices waste management services in Sydney provide the quick & best services to their clients and efficiently manages waste in an Eco-friendly way. Tricity cleaning offers a range of best cleaning services such as commercial office cleaning that keeps your office perfect for a long time. Contact us 1300 88 61 62. From the departure of the last occupant to the ‘open to view’ we take care of the total renovation process. We understand the longer the work takes the greater the impact on annual returns, so we micro manage to ensure the project is completed within the tightest schedule possible. On time and on budget. 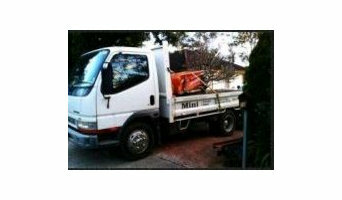 Good2Go Removals is a small family owned and run company based in Redfern, Sydney. We Offers Best Removalist Sydney, Office Removals Sydney, Furniture Removalist Sydney at Best Prices. EBS & Associates Refinery operates within Australasia’s largest and most technologically advanced independent precious metal refinery – ABC Refinery. As part of this larger group, EBS & Associates Refinery is the only independent accredited Gold LBMA Good Delivery List Refiner in Australia. ABC, which encompasses EBS and Associates Refinery, is also the only Australian refinery laboratory to have been awarded National Association of Testing Authorities (NATA) and ISO accreditation for the laboratory analysis of gold, silver and their alloys. Promote your brand in modern, creative, exclusive and impactful ways, through Flyers Distribution in Sydney. This is the most economical of promotional tools that a business can opt for. Check it out today. Established in 1997, ADE Consulting Group is a group of professional independent environmental consultants and geotechnical engineers providing high quality environmental services. Environmental Services include the following: air quality testing, asbestos inspection, soil testing, asbestos survey, asbestos testing, asbestos air monitoring, water testing, geotechnical services and geotechnical engineering and site contamination assessments. ADE maintains the highest standards of security when conducting all environmental assessments. All the details of the investigations are strictly confidential. ADE Consulting Group has over 15 years experience across a range of Environmental Services specifically tailored to address detailed EPA requirements and guidelines. ADE appreciates the financial burden of environmental projects imposed on our clients and always strives to minimise costs by exploring practical alternatives or by developing unique site-specific methodologies that best meet our clients’ needs. What do environmental and restoration professionals in Waterloo, New South Wales do? Specialists and consultants can be hired to carry out large-scale building restoration projects, or to restore period features such as interior trims and mouldings. They will first inspect and assess your home, and will provide restoration advice based on the extent of damage. It’s important to note that some heritage-listed buildings may have lead paint on walls, doors, windows and windowsills. Lead that gets disturbed by sanding, cutting or replacing old windows can create hazardous lead dust. If your New South Wales home was built before 1978, you’ll want to find restoration professionals with experience and training in lead-safe procedures. Homes that have water damage, mould, or which have been affected by a natural disaster will need specialty restoration experts. They will secure your home and remove any dangerous contents before beginning repair work. Should you suspect mould in your house, a qualified professional will do a full visual inspection and perform air/surface sampling to confirm its presence before safely removing the mould. Special training, equipment and licensing are required. Make sure you are working with New South Wales certified, licensed and insured professionals who guarantee and warranty their restoration work. Find environmental and restoration professionals in Waterloo, New South Wales on Houzz. Search qualified professionals in water damage restoration, fire damage repair, mould removal, and heritage renovations. Read through professional profiles for information on qualifications, experience and services provided.